Tribune Chronicle / John Vargo Champion’s Cody Lamb won the 400-meter dash at the Ward Invitational. EAST PALESTINE — Cody Lamb stood eye to eye with Champion High School track and field coach John Haug. The Golden Flashes senior was just outside of the East Palestine High School track, hovering near the 4-foot, chain-link fence. The two discussed Lamb’s performance of 50.88 seconds in winning the boys 400-meter dash last Saturday at the Ward Invitational. Lamb, who stands around 6 feet-5 inches, has an intense focus while he utilizes his long legs and strength to get around the track’s surface one time. The 300-meter mark usually separates the competitors from the pretenders. Lamb considers himself among the first of the two. 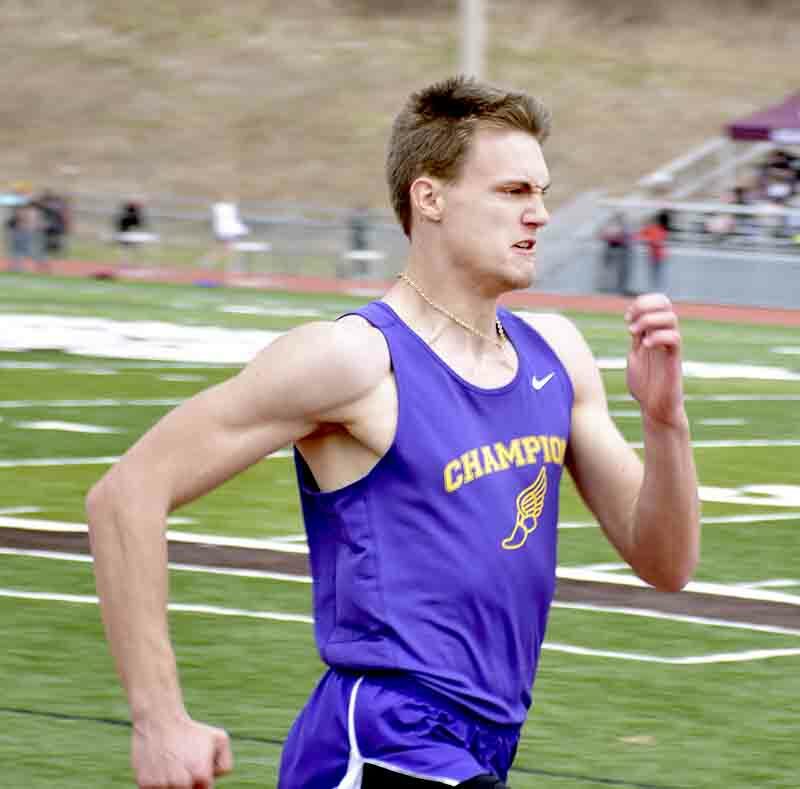 He was 2 seconds faster than his closest competitor, a time which is about a second faster than the time which placed him sixth at last year’s Division II Austintown Regional Meet. 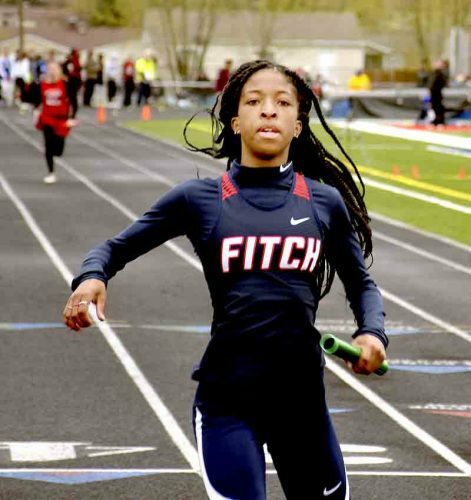 Lamb came into this season with a dogged determination to get to the state meet in Columbus. He’s been running since seventh grade and running well on the all-weather surface has been his dream. Lamb wants to run in college, maybe as an Olympian one day. He’s putting in the work, lifting every day in the offseason and running on his own. Lamb goes to camps to help in his training, spending about an hour after the in-season practices. He said the University of Akron has shown interest in his track and field prowess. The drive to succeed has always burned within Lamb. He saw from a young age that he would be a track athlete. He raced his sister, Amber, six years older than him. “By the time I was 6, I was beating her,” Cody said. He felt the energy flowing within him when he reached his first meet in seventh grade. Some coaches tried to recruit him to play basketball, as far back as fifth grade. The answer was always no. That answer has stayed the same. His outlook has changed, taking his aggressive nature and using it on the track. The anxiety has worked in his favor, using it to accelerate in the latter part of the quarter-mile race. People of Lamb’s size usually don’t have this a in their repertoire. Dedication in the weight room has put an extra spring in his step. It shows in that final 100 of his 400 race. It’s a running style which works for the Champion senior.